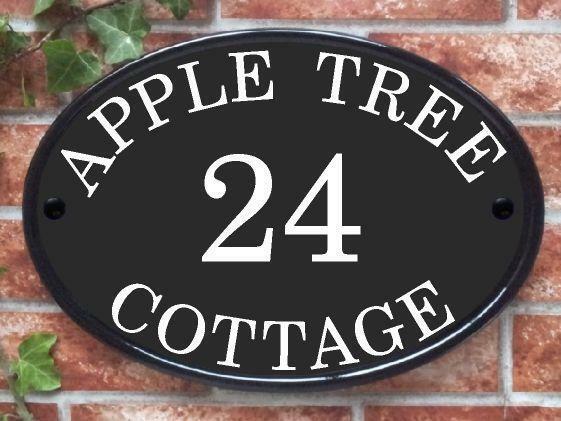 Large oval house plaque suitable for house names, address lines and numbers. Also suitable for just a very large number for properties positioned a good distance away from the road. Night reflective text can be positioned arching across the top and the bottom of the sign or alternatively in straight lines of text. 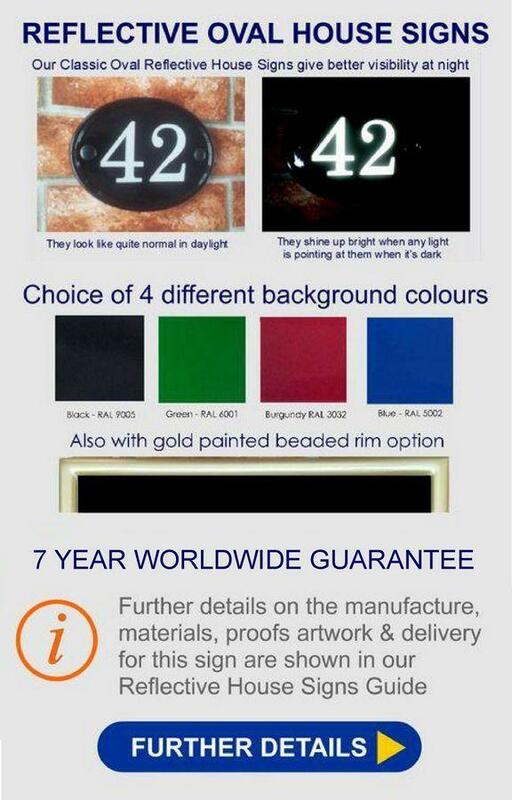 These personalized plaques will withstand extreme weather conditions and are covered by a 7 YEAR WORLDWIDE GUARANTEE. The sign has arrived safe and sound. My husband is thrilled with the sign and it looks better that I imagined. Thank you so much. 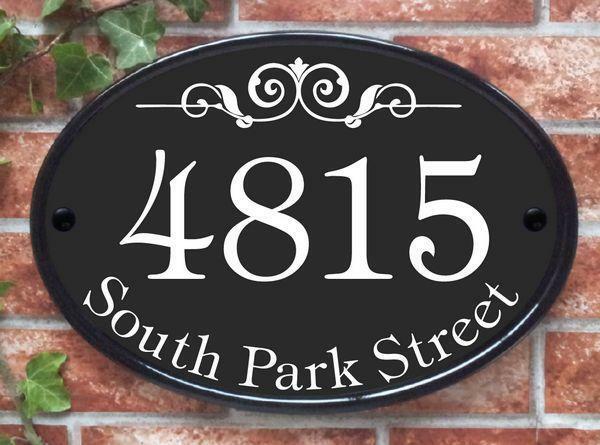 Just want to say thank you for all the help with our house sign. 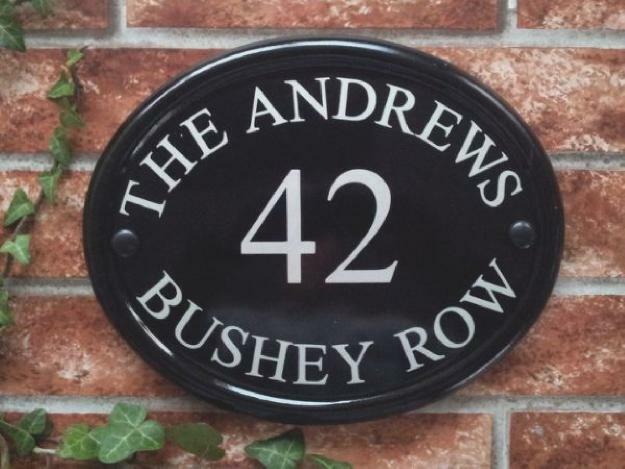 We are really pleased with the final design and look forward to it having pride of place on our driveway shortly. 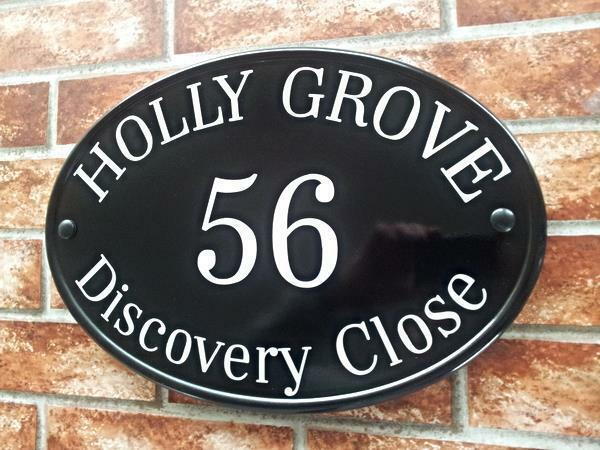 Just to let you know we have received our sign .I have also recommended you to someone in this area. Thanks. 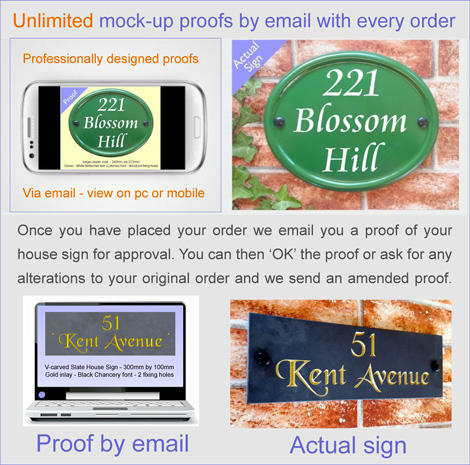 Hi, Sorry I have just got round to catching up on emails – thanks for the sign – love it – have it up – would recommend you! We have received our sign and are delighted with it. 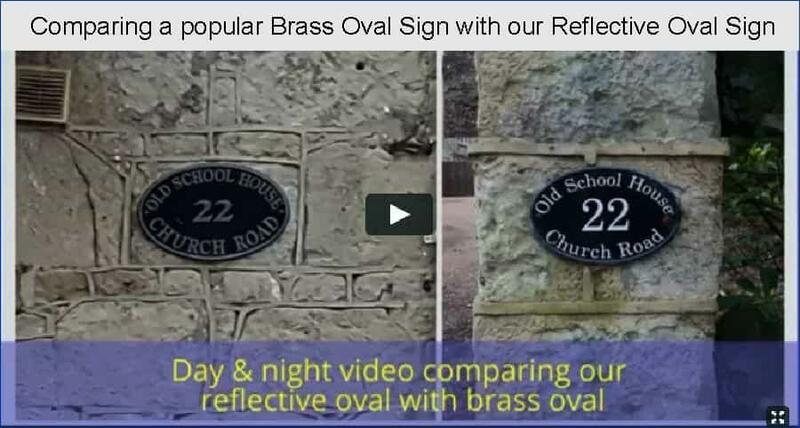 Not only is the quality and content of the sign itself perfect, but the service you provided, including tailoring the delivery to our requirements was absolutely first class. We would firmly recommend you to everyone. Thanks again to you and your team. 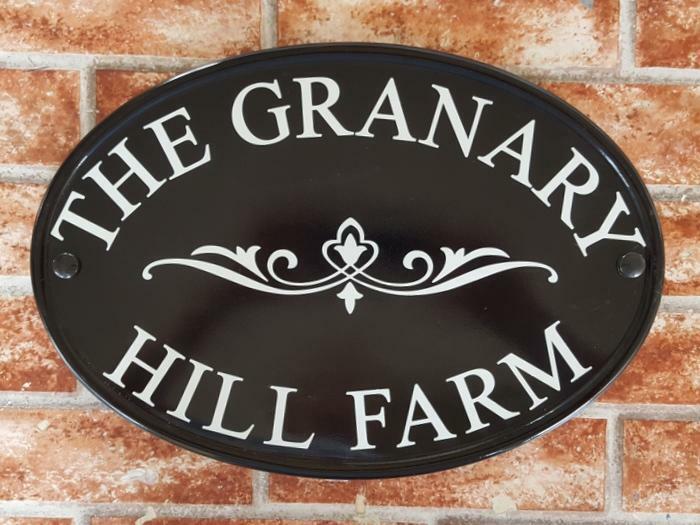 Just a quick (belated) note to say how pleased we are with our sign - it is beautiful. Arrived, absolutely superb. Thank you. My plaque is lovely, thank you so much, It is nice than I imagined. Delighted with my sign & customer service very professional. At the proof stage I decided to change the colour and my instructions were followed through. Would have no hesitation in using this company again. I choose to have a hand painted sign made.. When it arrived today ..well packaged .. I was totally delighted with it... Beautifully done and including every thing I had discussed with the very helpful Gentlemen on the phone.. Would definitely recommend this company..